The app has been updated with heart rate tracking and video guided workouts based on different areas of the body. 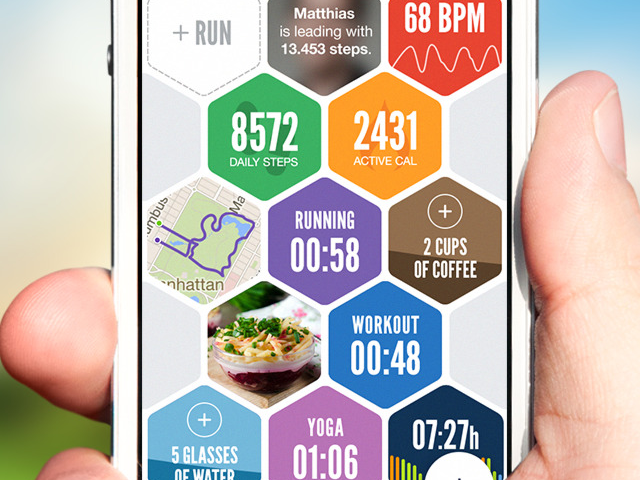 Azumio has announced the release of its updated Argus health and fitness app on mobile devices. The app looks to provide an ‘all-in-one’ platform for users to measure all aspects of their health, from daily activities to food and water consumption. The Argus app offers multiple features, including a GPS and pedometer for walkers and runners, as well as a calorie counter. Users can create a food diary of their meals, track the water they drink each day, measure the quality of their sleep and set personal goals for things like the number of steps they’d like to take each day (as one example). For social features, users can add their friends within the app, and track their progress over time. Users can also create a step challenge for their friends, with the goal of taking more steps in a set amount of time than anyone else. New for this version of the app, users can measure their heart rate in beats per minute using their device’s camera and the app’s heart rate technology. To be specific, users hold their finger to the camera’s lens for a view seconds to receive their result, and can tag this measurement based on their activity at the time (exercising, working, etc.). In addition, video guided workouts have been added to the platform. Users can browse videos based on three overall themes (strength, cardio and stretching), with each theme broken into different areas of the body. Many of these workouts, as well as unlimited access to heart rate and sleep tracking, are locked to VIP users, with VIP subscriptions being available for $4.99 per month or $29.99 per year. At Azumio, our mission is to help people achieve their healthiest and happiest selves, and we believe that Argus can ignite that spark of motivation that lies within everyone. Through Argus, we aim to transcend technology and become the world’s first social community for healthy living. This is a platform designed for all people and all goals. Argus is available to download for free on the iTunes App Store and Google Play.